2004 Rx8,90k,no mods.Got the p0302 code and the engine misfires.Will change wires,plugs and coils but my worry is that now I have a small oil leak. Car has never had a leak before,can the oil leak cause a misfire? Are you getting a CEL code? If so, which one? Essentially, how can you tell it is actually a misfire? 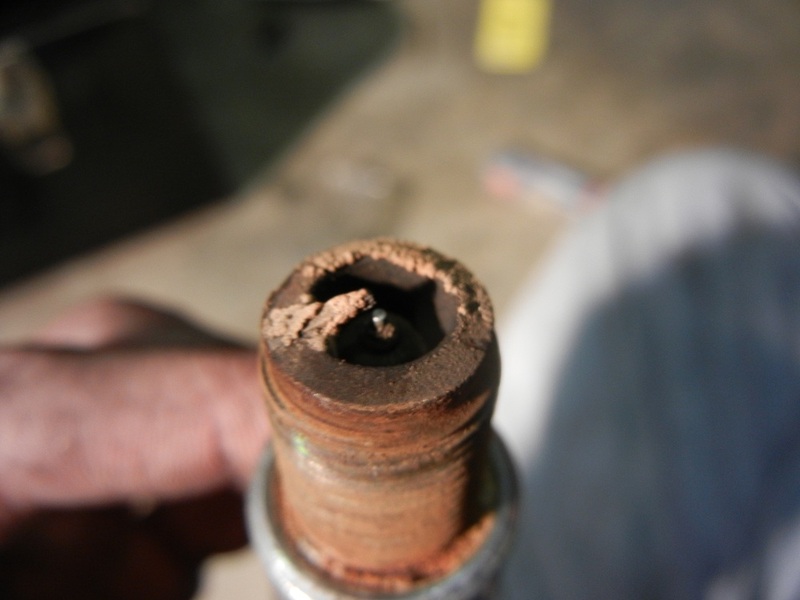 In essence, it can be the other way around, but regardless, find out first if you have that oil leak. Full ignition system is a great start, I would recommend the BHR ignition system. Compression test may be in order for you, as well. I had idle misfire issues due to a leak in the exhaust joint between extractor and cat. I had a misfire issue. 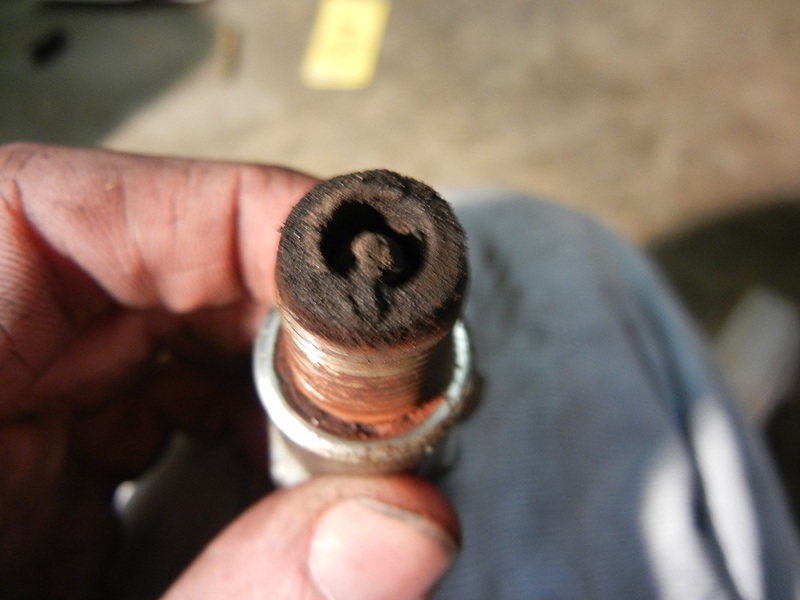 It ended up being because my spark plugs were **** (pics below) and the ignition coils had likely never been replaced (at 58,000 miles, bought it at 46,000 with little to no record of maintenance). The engine eventually had continuous misfires in both rotors, which meant no RX-8 for a week or so. After I replaced everything it ran like a dream. I highly recommend starting here if you have a misfire. Also my CEL codes were P0301 the first time and then when it was really bad I got both P0301 and P0302. Last edited by brothersboy; 03-04-2013 at 03:18 AM. I know... but we still try. One day it's gonna change, just need to think positive! THANKS for all your trial and error, then taking the time to post and discuss. Many times, i have been tempted to post one of those now familiar noob questions. I didn't. I searched, read, reread and couldn't come up with a question that didn't have an answer somewhere on this forum. Sometimes the details can be hard to find, but are in RX8club.com somewhere. Stickies on this forum are great for bringing those details together. So again, THANKS. Back to my silent, but ever present, status on this forum. By the way i read "Newbie's Guide to Modding the RX-8" by RIWWP" after buying my RX8 and it initially broke my heart. lol. My stubbornness allowed me to fall in love with my RX8. Do you get misfires even in neutral or only under load? 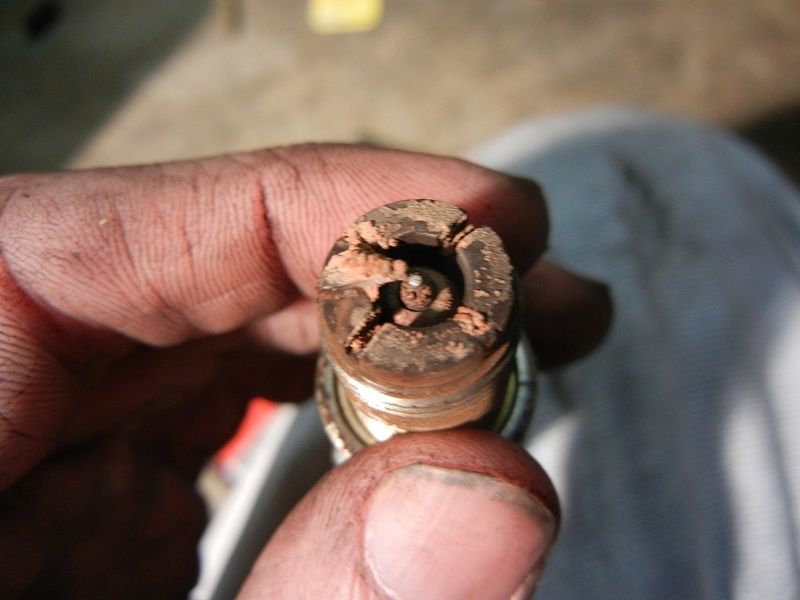 Flashing CEL is a misfire; at this time, since you changed your ignition system, your only lead is the CAT. 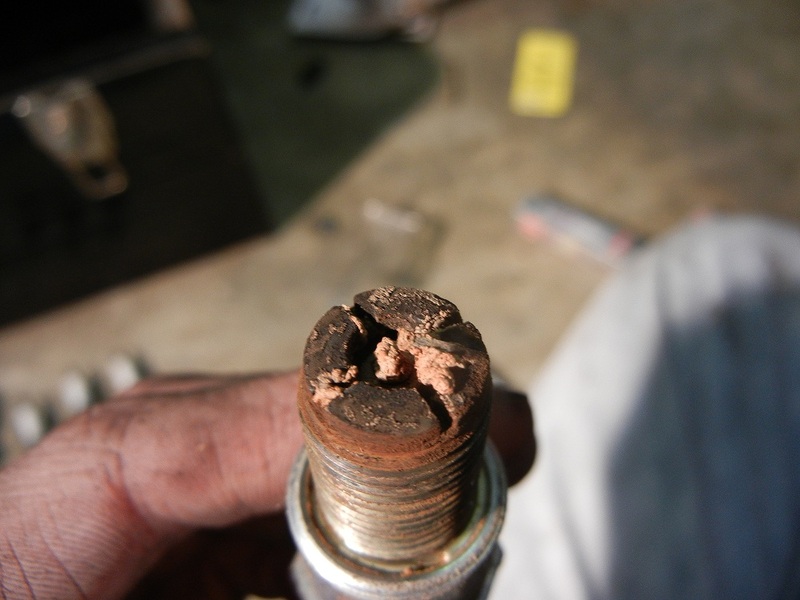 Check if it's clogged, otherwise, do you know if you are loosing coolant fluid? Misfire is gone on my car,think it was the coils.3 of them had the white mark .Now with new plugs,plug wires and coils the car did great on 2 drives.No oil leak after warm up but after the last drive a small amount on the floor.It is in the middle right behind the radiator.Will put the car on a lift to get a good look,but no oil leaks before my misfire adventure started. think it was the coils.3 of them had the white mark . Thanks brothersboy for putting the PDF file,will print it out and bring with me when it's time to exchange these ones.My coils had way more(way more)than 30k,so it was time to replace them . No problem. And the 30k is just a rough estimate. I bought my car at around 46k and replaced mine at 60k so for all I know they could have had 60k on them. And from the looks of my plugs they very well could have! I just replaced my coils, wires, and plugs this weekend- wow! Torque is back. Runs like new, idles smooth, sounds better. I've got an '06 MT GT with 65k miles... I bought it brand new, and I shouldn't have waited this long to change the coils. It's been a bit lurchy when cold and I drove in stop and go traffic last weekend and it lost low rpm torque and would misfire when revving cold or hot, and the exhaust note sounded wrong. It didn't flash the CEL or throw a code. I stopped driving it for the week and I pulled the plugs and they were fouled. I've changed the plugs every 15-20k miles on this, probably had 10k miles on this set, and I flooded it a couple of times this winter when I didn't drive it for a few weeks and cranked it up in cold weather with a low battery. I found that the leading coil on rotor 2 was a bit melty. I'm guessing the new battery and ignition system will keep me going for a while. Hopefully the cat didn't get roasted, but I took it for a good italian tuneup and it ran great. The compression seems fine- I can get it hot and it won't idle sag and it fires right up. Man, it's a pain to get down to those coils. I had to pull the stiffener bar and even then had trouble getting to the bolt on the one near the wiring harness clamp. Last edited by corners; 03-11-2013 at 11:05 PM. So, my car is having a really hard time starting, and knocking and generally showing all the signs of misfiring. I found this thread - and it says I need coils/wires/plugs. Okay fine, I'm willing to replace all that and can find the instructions on how to do so fairly simply, but the only link I can find is for a $500 set. I'm looking to do it myself, I almost NEVER drive the car, but when I do, it's for something important. Can someone provide me with links for everything that I will need to do this without costing that much money!? You can check your local auto parts store: AutoZone, O'reilly's, Advance Auto... Our forum has vendors that will sell those as parts or as a set, you will need to search for them here (i.e. BHR, mazdatrix, rotaryfx). Order one coil set, one wire set, and two of each spark plug. Last edited by brothersboy; 03-21-2013 at 11:05 AM. i dont think it should be compression, because its good until the higher rpm and it starts fine when warm. ive check over some of the vacuum lines to look for a leak, everything looks ok to me. im kinda new to the car, ive only had it for 6 or 7 months. so far i do love it even with the misfire problems. this car is truly addicting. have you done the 20 stomp brake pedal reset? i tried that, cleaned maf and ess. hollowed cat, new plugs/coils/wires.